"Let's be real," the newly elected Newsom said in his first State of the State address. "The project, as currently planned, would cost too much and take too long. "There's been too little oversight and not enough transparency." Newsom said he planned to concentrate instead on completing a high-speed rail link between the central and more rural towns of Merced and Bakersfield to reinvigorate the region's economy. "I know that some critics will say this is a 'train to nowhere'," he said. "But that's wrong and offensive. "The people of the Central Valley endure the worst air pollution in America as well as some of the longest commutes," he added. "And they have suffered too many years of neglect from policymakers here in Sacramento. They deserve better." Plans for an LA-San Francisco bullet train had been backed by Newsom's predecessors Jerry Brown and Arnold Schwarzenegger and the line was expected to be completed in 2033, years behind schedule. The 520-mile journey would take less than three hours. The project, however, has run into repeated delays and legal challenges. An initial estimated cost of about $40 billion when voters first approved the project in 2008 has ballooned to $77 billion. All he needs to do is call the bimbo barista, AOC, she can get it built and cost is of no consequence. She'll just wiggle her socialist nose and create the money out of thin air. So basically you agree we're not as good as Japan or France. Da, you don't understand the demography of the US. In Japan the bullet train debut linked Tokyo to Osaka, and there are approx. 80 million people living in that corridor of 300 miles (500km). And the train links with uncountable number of mass transit systems (trains, subways, buses, etc). Compare that with almost 400 miles between Sacramento and LA with 1/4 of the population, and comparitively almost no other mass transit connections, and you get a bogus project only supported by left-wingers. Add that to other concepts like, in Japan most companies in Tokyo and Osaka do not allow employees to drive to work, whereas in the US cars are the default mode of transportation. And then there comes another nail into the coffin. The French have it. The Japanese have it. You're too stupid to have it. Simple as that. Da Schneib, the French and the Japanese also have cars and airplanes because they're not stupid enough to think that high speed rail will replace them. And their high speed rail is heavily subsidized by taxpayers. 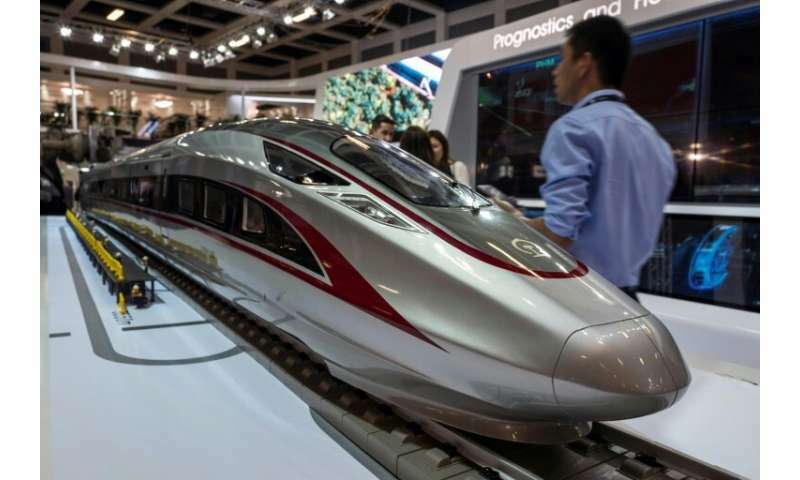 There is no place on earth where high speed rail is commercially viable. Contrast that with all the commercial airlines and freight-hauling rail systems that are profitable. Profitable, incidentally, means efficient. High speed rail is neither. Sorry, I misspoke. One line of France's TGV, from Paris to Lyon is actually (barely) profitable and its margin is being shrunk by airline competitors. The Shinkansen in Japan took a decade to become profitable and still is. As Bart_A noted, Japan has a unique and serendipitous combination of geography and demographics that contribute to the success of high speed rail; something no other country has duplicated. Also, the former Japan National Rail Company that built the initial Shinkansen lines was running massive deficits and was broken up into several private companies in 1987. The Hokkaido line of the Shinkansen is unprofitable but the rest make a profit today.